iFOLLOW that his lads’ effort is ‘unquestionable’ after the two-nil Boxing Day loss at Bolton and that he didn’t think they had done enough to win but, on the other hand, didn’t deserve to lose. 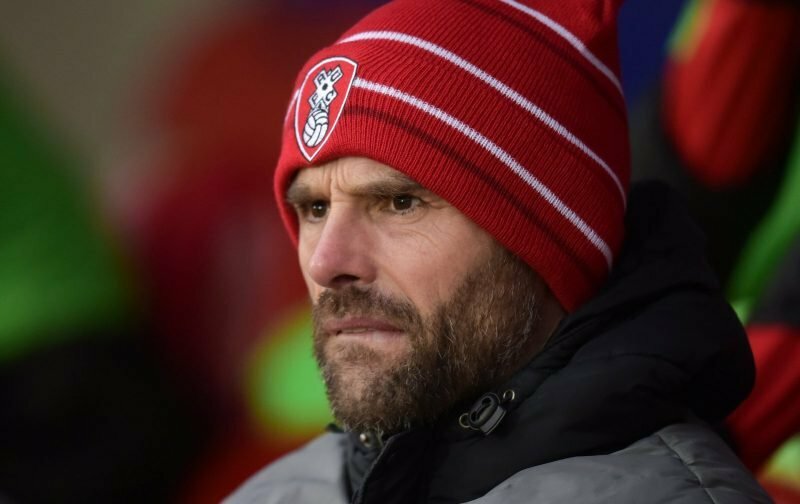 ‘I thought we’d have been stronger second half,’ the Millers Boss admitted. Sitting watching the game I thought that too – and I was also wrong. There were two poor teams at the University of Bolton Stadium yesterday of which the Millers were the poorer. I don’t profess to know anything about managing a football team but, to me, any wide pitch like the one yesterday is crying out for quick, fast wingers and I actually expected the two on the bench to come on at half-time – they didn’t. Semi Ajayi has got to get his head right – both mentally and physically if you ask me. He’s made a couple of silly mistakes recently but, on the other hand, he’s also hacked balls off the line or tackled to stop players getting shots away. At the other end he’s had chances from set-pieces to put balls in the back of his net but, to me, seems incapable of heading downwards with the ball always going over the crossbar. And I’m not just picking Semi out as a scapegoat because I think he’s a very good player and he’s not on his own making mistakes. Michael Smith has to get tougher. Our corners and free-kicks should always get past the first defender. I don’t like to see it but maybe we should start tugging at players, putting our arms around them to stop them jumping, fall down in a heap when a player comes near us from behind which, again my opinion, I think we are pretty naïve at doing. Warney also said, ‘I think we started the better and it’s a pity we didn’t get our noses in front.’ And how many times have we said that we really need to be taking those chances that come along. That is more important than ever as we go into the end of an old year and the beginning of a new year in a relegation battle. Will I give up on Rotherham United? No, not at all. Am I getting fed up with being disappointed game after game? Of course I am. And I won’t be on my own but, unlike me, some of those people won’t be coming back.